Prity time. 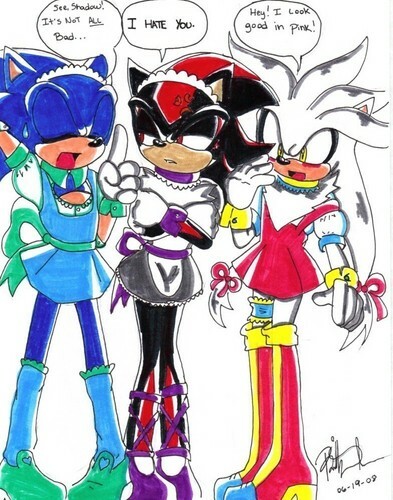 O.O i that we girl hedgehog should where dress's?. HD Wallpaper and background images in the shadow el erizo club tagged: sonic shadow silver. O_O... OMG that drawing is gay..
Segafan, Why'd you post that video, it has nothing to do with this pic + its weird. ill b laughin at this 1 4 YEARS!!! Molly(me):how did u guy get mi derss? Molly:i want those back when u guys r done!!! Shadz:(upset)(2Sonic) IM GONNA KILL U !!!!! Shadz:(happily)Thnx, that made my day. me: no prob. Have a nice, and gothic day. But u do look good on a dress but its not right its super wrong!! Please take of the dress Shadow!! silver: IM A PRETTY GIRL IM TELLING YOU !!!!!! silver: ONE OF YOU GUYS KISS ME !!!!!! 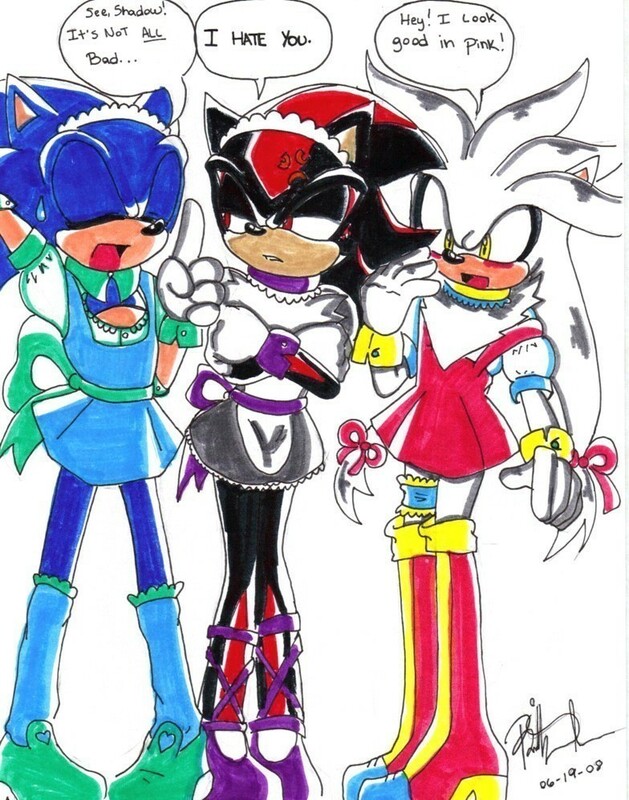 Shadow:WTH I NEVER WEAR GIRLS CLOTES!!!!!! Lea:*hits Shadow* Alright u 2 seperate!!! Sliver:Alright u 4 actions over!!!!!! Shadow:Who tool ta picture???? I'M GONNA KILL WHOEVER TOOK IT!!!! reminds me of my girlfriend with her friends.god i miss her. man i really miss her.with her hot bodey. What. The heck. Is that?